I’ve mention before how I had never used a crock pot until I moved in with my husband. Now, it’s one of my favorite appliances. I love how it allows me to make a delicious meal while I’m at work. I’m very grateful that I can have people over on busy work nights & serve them something tasty. That’s exactly how this recipe was born. A friend of mine was coming over for dinner one Friday night & I wanted to serve something yummy without having to worry about cooking when I got home after a hectic week. The crockpot is the perfect tool for the scenario. Just a little prep the night before is all it takes. I decided I wanted to do ‘Mexican’ food. I’ve seen several crockpot fajita recipes on Pinterest & they are all basically similar – chicken, peppers, onions, and a jar of salsa. I don’t do tomatoes; never have. There is just something about tomatoes that makes my taste buds go NOPE. The closest I come to eating anything tomato related is pizza – & even then I have rules. No deep dish, no chunks of tomatoes, & any sauce not covered by cheese is getting scrapped off. Every now & then I will try something with tomatoes in it to see if I have gotten over my aversion. Nope. I still absolutely abhor tomatoes. I know some of you might be thinking, “but what about your lycopene intake? The ketchup bottle says lycopene is very important.” Well, don’t worry. Red peppers are also a good lycopene source, & they are featured in this recipe. I have a love/hate relationship with red peppers in food. Since I made this recipe myself, I know that all of the red pieces are peppers. But when I go out to eat, it’s a different story. Luckily, my husband is the designated “is this a tomato or a pepper?” taste-tester. So what did I do to replace the offensive tomato salsa? I did what I usually do; I used the green option. When I go out for Mexican food, or make it at home, I always go with the green sauce option. Enchiladas? Salsa Verde. Chipotle Burrito? Green Chile Salsa. Taco Bell? Verde Salsa. The fact that green is my favorite color is a total coincidence to green things being delicious. This recipe is pretty simple: seasoned chicken (Sazón is my go-to seasoning for Hispanic food), red & green bell peppers, onion, pickled jalapeños, & a can of green chile sauce. I always end up using my crockpot on low for 10+ hours because of my work schedule. According to some research I was doing, cooking it low & long results in shredded chicken, while high for 4-6 hours gives you firmer chicken you can chop up. It was pretty liquidy, so I used a slotted spoon to put everything into a serving dish. 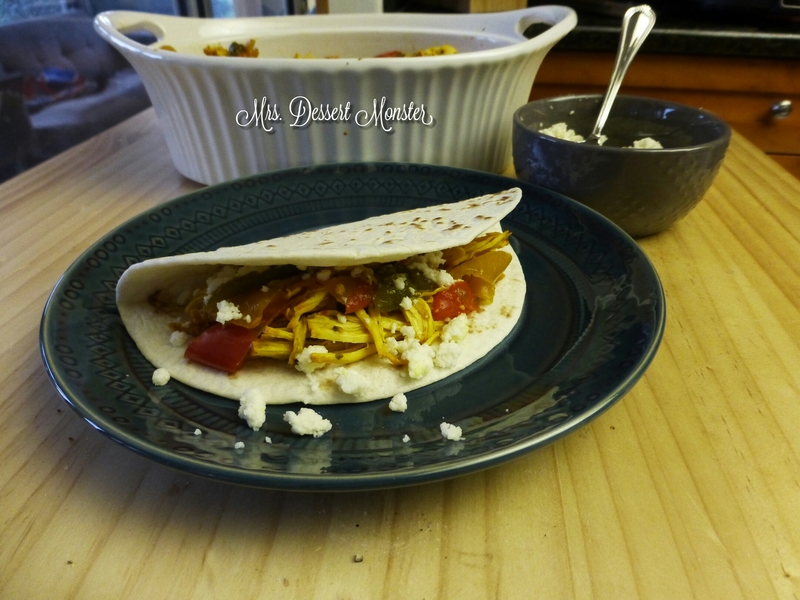 Add some nice soft tortillas, cheese, & any other toppings you’d like! Like any other fajita/ taco type dish, you can totally customize it with toppings. You can also make it as spicy or as mild as you like! 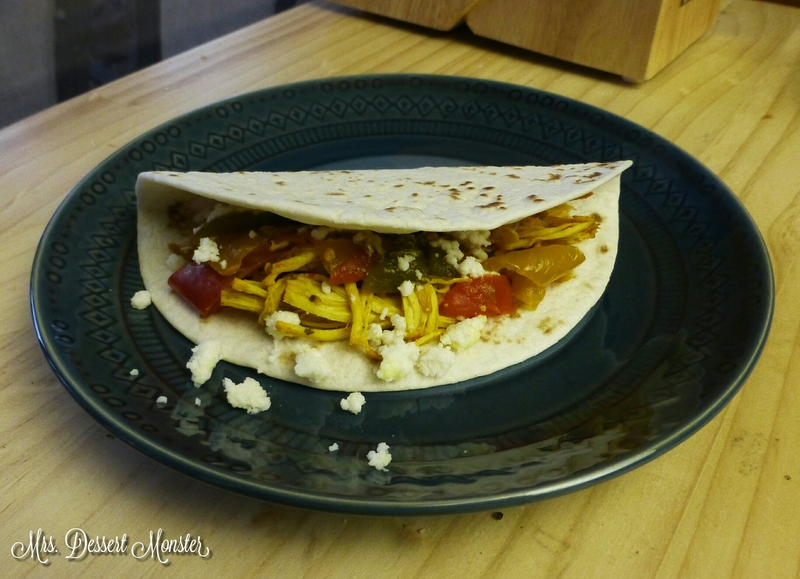 If you have any chicken left over, save it to make flavorful chicken quesadillas another day like my husband & I did! toppings such as cheese, guacamole, sour cream, etc. Chop peppers into strips & onion into slices. 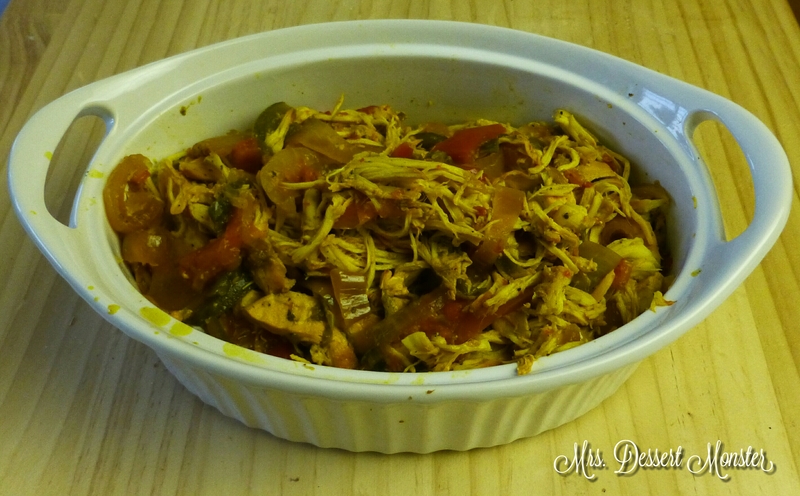 Place seasoned chicken, peppers, onion, & jalapeños into crockpot. Pour over can of green chile sauce. Cook on high for 4-6 hours, or low for 8-10 hours. Cooking on high results in firmer chicken you can chop. Cooking on low will result in shredded chicken. 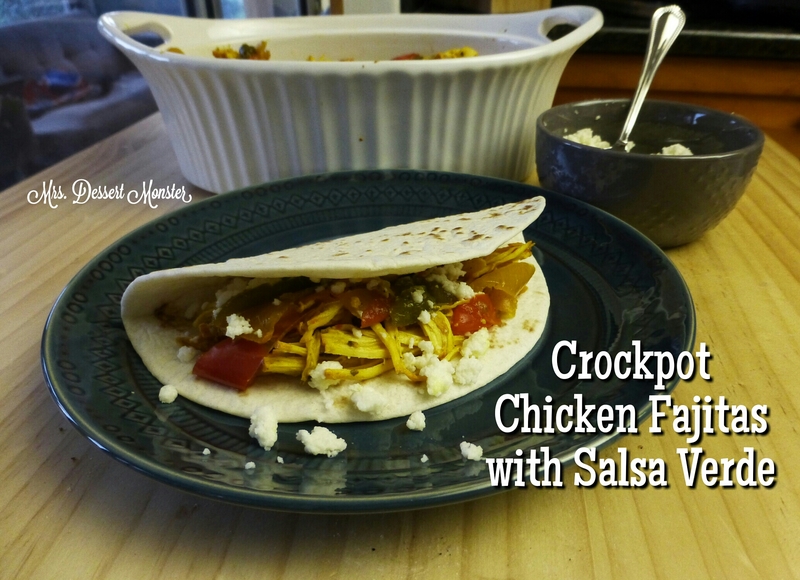 Shred/chop chicken & serve with tortillas & toppings. Enjoy! I’m weird about tomatoes too, but in a much stranger and more inconsistent way. Regardless, this recipe sounds yummy! Haha! I have to admit I have a few more exceptions than just pizza, but it’s pretty much a straight NO TOMATO across the board!